There are two major aspects of website income generation: selling the goods and/or services your company offers, and income generated through affiliations. Broadly speaking, one website allows another to advertise on it, usually on the landing page. The advertising website then pays for the privilege based on the number of clicks (users navigating to the advertised site) generated. This can be assessed via a flat fee or by a per-click charge (PPC). The mutual benefit afforded by PPC is obvious. Having affiliates generate traffic to your website strengthens your brand, increases the number of people who navigate to your website, and painlessly builds your customer base. If you’ve struggled with conventional advertising, you know that one of its most frustrating aspects is that you don’t know if it’s going to do any good until long after you’ve spent the money. 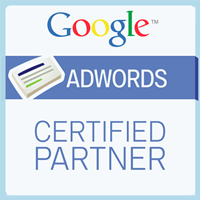 With PPC, you know that you’re paying for people specifically accessing your site. With conventional advertising, such as broadcast or print advertisements, you should be ecstatic if 1% of the people reached are actually potential customers who would be interested in your product. With affiliate advertising, that figure is 100%. It can also be a painless source of revenue to host affiliate advertising. Ads can be unobtrusively placed that direct users to products and services that persons who land on your webpage might be interested in. For example, if you sell gourmet salsas, someone who sells cooking spices might make a good affiliate. The idea is that interest in Product A (yours) implies interest in Product B (theirs). This is mutually beneficial. PPCO is the process of improving your PPC internet marketing campaign. If you are putting ads on affiliate websites, you want those ads to generate as many clicks as possible. This can be done by optimizing the ads themselves, by using key phrases in the ads themselves and on your landing page, and by examining the content of ad copy as it relates to what you want your users to do. Specifically, every ad is a call to action. What do you want your users/customers to do? What problem can you help them solve (finding the perfect salsa)? At Web Brilliant, we understand how all this works. PPC ad campaigns are economical, but they still cost money. The last thing you want is to be paying for clicks that don’t result in added customers and revenue. As with all of our services, our goal is to help you better spend your money and optimize the performance of your website. We have extensive knowledge of and expertise in PPCO. We’ll make your campaign worthwhile and get you the customers you need to make your business thrive. We know that business owners are pressed for time and have finite resources. That’s why we’re here. Internet marketing contains a lot of traps and pitfalls that many businesses stumble into when trying to do their own website optimization or launch their own Web campaigns. One such trap is not knowing how PPCO works and thus paying for clicks that don’t do any good. Let us develop your PPCO and make the clicks you’re paying for count. Before sharing your business information, website, and/or advertising strategy with us, we will send you our Non-Disclosure Agreement, which guarantees that your work materials, and even your identity as a client, will never be shared with a third party. "As with all of our services, our goal is to help you better spend your money and optimize the performance of your website. We have extensive knowledge of and expertise in PPCO"
"We have extensive knowledge of and expertise in PPCO. We’ll make your campaign worthwhile and get you the customers you need to make your business thrive"